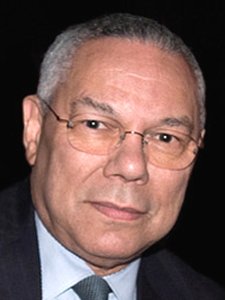 The hacker who this week defaced Colin Powell’s Facebook page also broke into his AOL e-mail account and rummaged through years of the former Secretary of State’s correspondence. Powell was unaware that his account had been illegally accessed until he was contacted yesterday by a reporter. A spokesperson said that Powell has regained control of the account and has “taken precautions” to keep it from again being compromised. 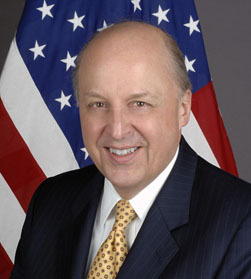 Known as “Guccifer,” the hacker accessed Powell e-mails about financial and personal affairs as well as his correspondence with a wide array of former government officials, including ex-CIA Director George Tenet, former Deputy Secretary of State Richard Armitage, and John Negroponte, former U.S. ambassador to the United Nations. The hacker’s audacious rampage was first disclosed last month when TSG reported that the e-mail accounts of several Bush family members and friends had been broken into. In addition to those illegal incursions, “Guccifer” also recently accessed online accounts of U.S. Senator Lisa Murkowski; a senior United Nations official; security contractors in Iraq; and several former FBI agents. The breaches have primarily involved AOL and Comcast e-mail accounts. Other victims have included individuals associated with the Rockefeller family, including the clan’s security director and two of the adult children of the late Laurance Rockefeller. Dennis Dwyer, a former Secret Service agent who heads the Rockefeller security team, told TSG he was unaware that his AOL account had been compromised. Despite an ongoing criminal investigation, “Guccifer” does not appear to have curbed his illegal online exploits. In fact, he appears to currently have control of the Comcast account of Negroponte, seen at left.